Discover how to use the Create framework to help students find greater fulfillment in learning, while also meeting the guidelines of curriculum standards. Foster authentic learning in classrooms. Students desire to find meaning in what they learn and to exert creativity in their schoolwork. Using the Create framework, educators can help students find greater fulfillment in learning, while also meeting the guidelines of curriculum standards. Explore the frameworks main components, and understand how to use the framework for classroom, school, and district pursuits. Learn each of the components of the research-based Create framework for lesson planning and how each component connects to student content standards. Answer questions to set up the Create framework for real-world learning. Consult examples of Create framework learning projects. Explore online tools and resources to promote online projects that engage students. “This book provides a challenging and thought-provoking framework to lead teachers through the process of designing quality, real-world learning experiences for students while meeting the demands of the Common Core. “This book is an incredible resource for teachers with a growth mindset aspiring to dig deeper into the work of designing meaningful learning experiences for students while meeting the demands of rigorous standards in a digital world. “Drs. 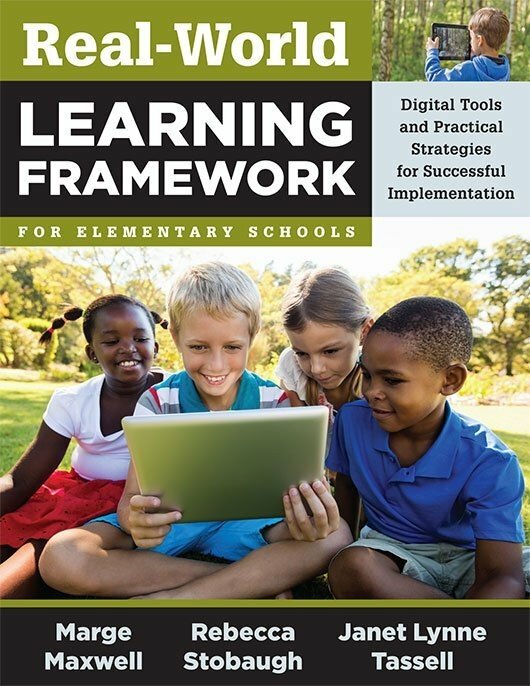 Maxwell, Stobaugh, and Tassell have created an incredible resource in this framework for designing teaching and learning experiences for digital learners. “Maxwell, Stobaugh, and Tassell provide a practical, research-based framework to guide high-quality lesson design to truly engage and challenge 21st century learners. Whether one is a new teacher, a seasoned professional, or somewhere in between, this resource provides a pragmatic, balanced approach to incorporating critical lesson elements that transcend grade levels and content areas. 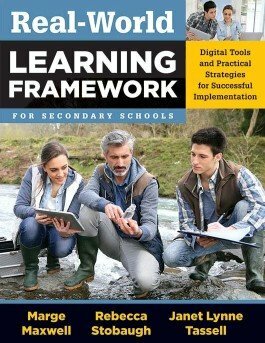 “Real-World Learning Framework for Secondary Schools provides teachers with not only a framework for designing real-world learning, but also critical questions, alignment to standards, lesson-plan templates, rubrics, and a plethora of technology resources that beg to be used in every classroom. The project-based examples in Part II offer answers to teachers who need to see the reality of what the framework looks like in English, math, social studies, and science. These authors took the adage, 'Show, don't tell' and put it to work right before our eyes.